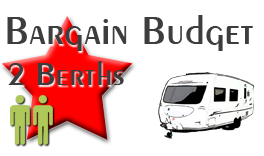 A new addition to the fleet for 2019 is our ‘Vogue Spec’ End Washroom, Side-Dinette Abbey GTS 416 Caravan (Band: Silver), a spacious 4 berth caravan, offering good levels of accommodation and comfort. Another new addition to the fleet for 2019 is our well appointed End Bedroom, Elddis Odyssey 505 Caravan (Band: Silver), a converted Fixed Bed 4 berth caravan, offering good levels of accommodation and comfort. Another new addition to the fleet for 2019 is our well appointed End Washroom, Side-Dinette Elddis Odyssey 524 Caravan (Band: Silver), a spacious 4 berth caravan, offering good levels of accommodation and comfort. A “Luxurious” End Washroom, Side Dinette Caravan (Band: Gold), our Elddis Odyssey 524, a spacious 4 berth offers high-spec spacious accommodation and levels of comfort. Our ‘Flagship’ Avondale Landranger Twin Axle Caravan (Band : Gold), an expansive luxury 4 berth caravan incorporating a Rear End Bedroom with a Fixed Bed & dividing door, Middle Bathroom, Separate Shower and Quality furnishings. A spacious well equipped 4 berth twin axle caravan our Elddis Crusader Storm (Band: Gold), incorporates Fixed End Corner Bed, Centre Washroom with Separate Shower. With an L Shaped Lounge, Side Dinette, Large Washroom our Abbey Aventura 325 (Band: Silver) 4 Berth Caravan offers good levels of accommodation & a spacious feel! 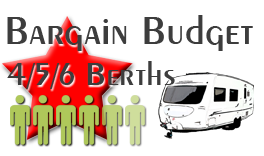 A bright, modern, lightweight 4 berth End Washroom Caravan (Band: Silver) our Avondale Dart 545, ideal for that first caravaning trip as it offers good levels of accommodation & comfort, is uncomplicated and is lightweight enough to be towed by most family vehicles. Always a popular choice! 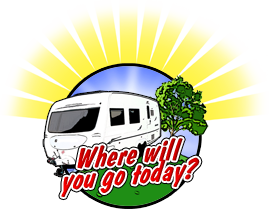 Our “Exclusive” much sought after Fixed Island Bed Swift Challenger 580 touring caravan (Band: Gold), a luxury 4 berth offering high-spec accommodation and superior levels of comfort. A new addition to the fleet for 2019, our Bailey Pageant Bordeaux (Band: Gold), a well appointed Fixed Corner Bed Caravan, offering good levels of accommodation & comfort!